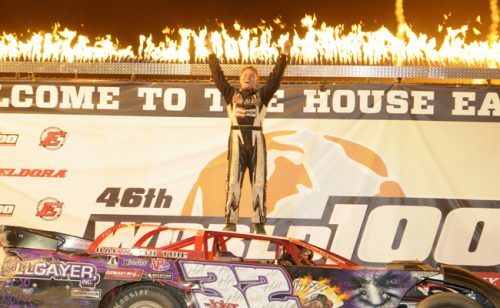 ROSSBURG, Ohio – September 10, 2016 – Bobby Pierce battled more than 100 dirt late models all weekend long to capture his first-ever World 100 title Saturday night at Eldora Speedway. The 46th running of the event featured drivers from 22 states, two Canadian provinces and two Australian cities. The Oakwood, Ill. native was the last man standing in the five-caution feature. In the 100-lap crown-jewel, 14 states were represented. 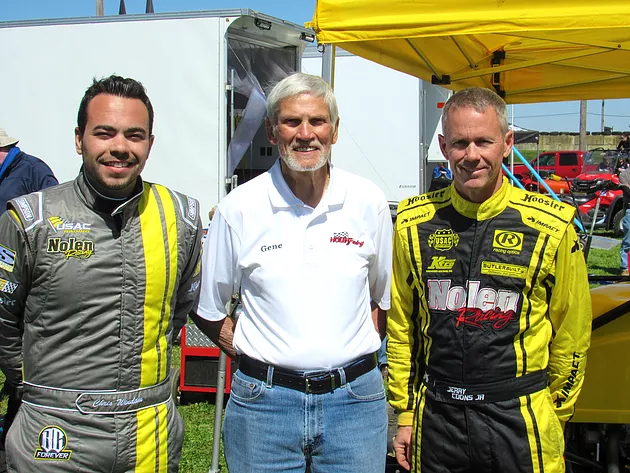 Of the three Illinois-natives competing, the Oakwood driver’s World 100 victory did not come easily. Though Pierce won one of the two preliminary features on Friday, Pierce’s No. 32P Allgayer Inc. Champion Spark Plugs Bob Pierce racecar had some ground to cover for the night’s main event – starting 22nd in the 30-car field. 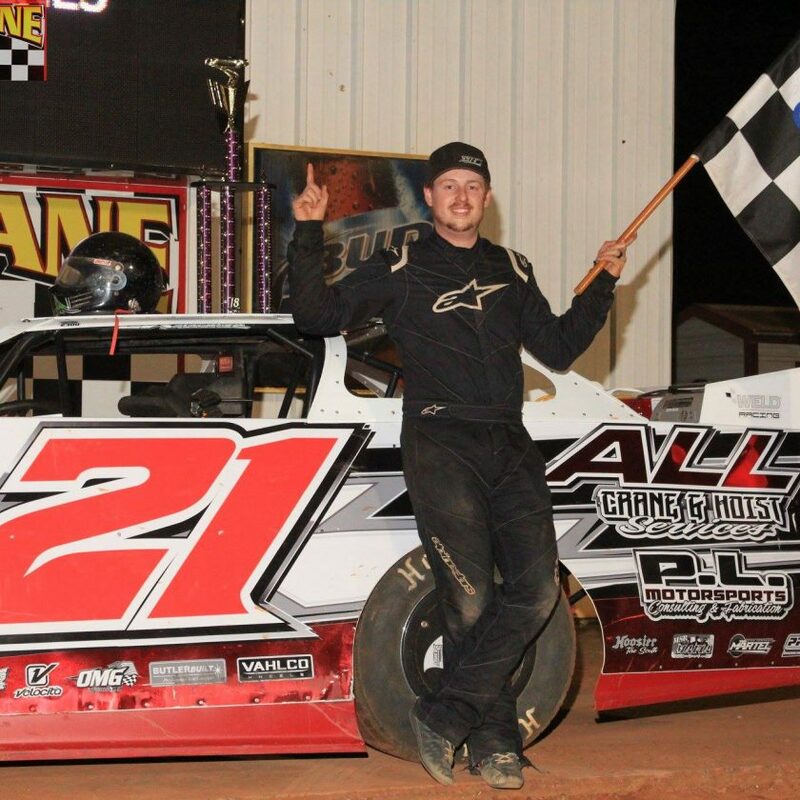 Chickamauga, Ga. driver Dale McDowell, who led the field into the green flag of one of dirt late model racing’s most prestigious races, opened up a 2.139-second lead by the fifth lap. Though the 2005 World 100 Champion dominated early, it was those who started from mid-pack that would soon challenge him. Dennis Erb Jr., the 2016 Dirt Late Model Dream Champion, started 11th. However, the Carpentersville, Ill. driver was on the prowl. Erb broke into the podium by passing Billy Moyer Jr. in turn three of lap 14. Less than one lap later, Erb was runner-up to McDowell and quickly approaching. The following lap, Erb got within 0.297 seconds of McDowell before making his move. Side-by-side, the duo charged down the straightaways, swapping spots with every turn; Erb got the better of the battle. All the while, Pierce was climbing up into the top five. On lap 26, Pierce had his sights at the lead from fourth position. It did not take long. By lap 35, Pierce was in a barn-burner for second with McDowell. 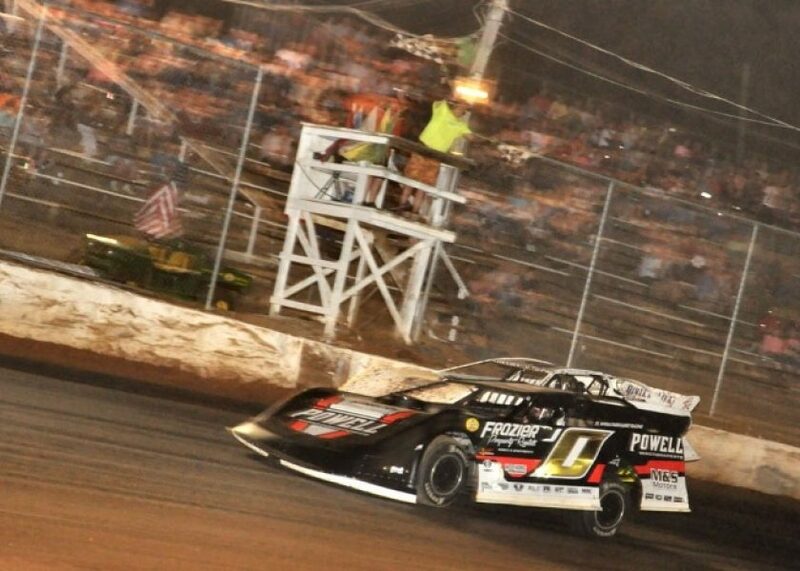 The 2016 UMP DIRTcar Summer Nationals Champion managed to get by McDowell before the race’s second caution on lap 37; however, McDowell reclaimed the spot by his strong restarts. From there Pierce filed back into fifth, leaving Erb and McDowell to revisit their battle. Through four more cautions and a fierce battle between Erb and McDowell – the advantage to Erb – Pierce yet again charged to the front. Fender-to-fender with Erb, Pierce passed Erb on lap 55 for the lead. He never looked back. Pierce opened-up more than a two-second and by lap 77, lapped former World 100-winner Jonathan Davenport; last year’s winner placed 18th on the night. With one-quarter of the race left, Erb solidified second position over McDowell. Erb finished 4.489 seconds behind Pierce. Erb finished third in his heat earlier in the program, while McDowell won his. McDowell said his car grew tighter into the race. Pierce’s car was balanced, while Erb’s car performed better than his on the bottom – though they were both tight in the corners. When Pierce met his family and crew in victory lane, the 19-year-old grew emotional – especially when his father met him up on victory lane to hoist the coveted trophies over their heads. Bob Pierce, a National Dirt Late Model Hall of Fame Inductee in 2003, never won the World 100.